During the 1970s and ’80s, railway photographer Andy Sparks took an alternative approach to documenting the railway. Match of the Day: It’s just before Christmas 1976. 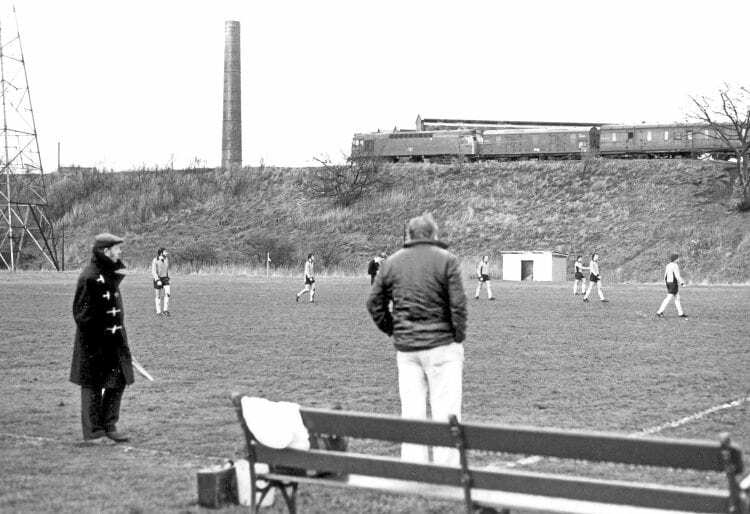 There’s only one supporter for the Saturday afternoon football match being played at Clifton Junction. Despite this, the concentration is so intense, not one person notices the passing of a Class 25-hauled parcels train. His black and white images of what to many of us were everyday scenes, have an evocative and gritty quality, focusing on the passengers, railwaymen and infrastructure. His recent book – British Rail Scene: The 1970s and early 1980s – has met with considerable praise. As a follow-on from the recent Railway Magazine pictorial supplement we present a further selection of Andy’s thought-provoking photographs. 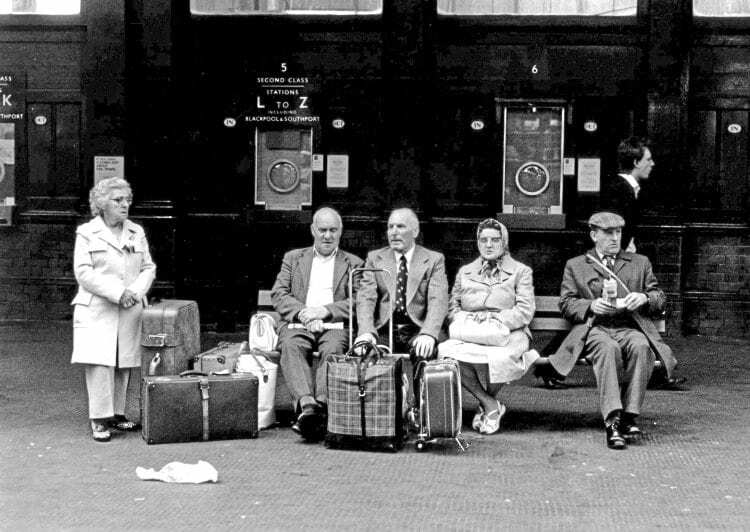 Right: Manchester Victoria, summer 1979: Going on holiday, a great people-watching photo. Notice their expressions, actions, clothes, hair and a whole array of other thought-provoking aspects.